Includes everything from the “Custom” package + up to 3 updates by phone or email. Great for the less tech savvy or those who are busy running their business! Includes everything from our “Managed” package along with 1 long form (750 words), information-rich copywriting assignment, 1 backlink/mo. business directories submissions, $50 Google Adwords credit, a monthly report and local market alerts. This package is designed to get you ranked on Google. This package includes everything from our “Pro” package along with an additional 2 backlinks that are meant to help your Google rankings. You also receive 1 weekly google post designed to attract more traffic to your site and keep your business updated with fresh content. This package is for someone who wants to use the web for lead generation. It’s especially great for those in competitive markets. One page landing website with no setup cost. Does not include any user editing capabilities. One time yearly payment. Fee includes hosting. Want to See a Sample Website? Will I get credit for the sales sent to the AMSOIL store from my website? Yes. 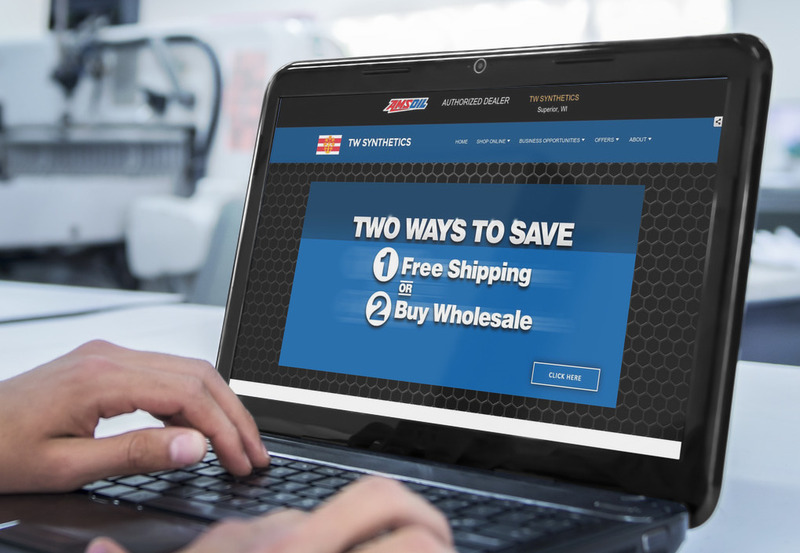 When someone clicks a link on your website that goes to an AMSOIL product page, your ZO number is transferred with it, ensuring the sale is credited to you. Can I use my own domain with the website? Yes. You can connect your domain with your website. To connect them, you’ll need to have your registrar’s login information available. The registrar is the organization or entity you registered your domain with. What kind of functionality does your editor have? You can get a full view of all the features we provide here. Can I try the website editor before I buy? Yes, you can. On this page, you’ll see a “Test Drive” to try the editor for free. Keep in mind that the template you’ll be editing in this demo is not the AMSOIL template. Do you host my email as well? We do not host email, but we can help you get set up with an email provider if you need assistance. Do the fees listed include hosting? Yes, all of the packages include hosting. What’s the difference between the Pro ($170/mo) and SEO ($320/mo) packages? The $320/mo. package includes more backlinks per month, which can help you rank better in Google and other search engines. Who do I pay? Will AMSOIL deduct the fee from my commission checks? AMSOIL Dealers must pay Empowerkit directly. AMSOIL does not deduct Empowerkit payments or fees from your commission checks. Can I cancel or change my website package? You can cancel at any time. You can also change packages at any time. Please note that it takes a minimum of four months to see results from the Pro and SEO packages.